Here are my views on those F1 drivers from 2013 who didn't make my top 10 ranking that I published a few days ago. My top 10 drivers of 2013 can be read here. There were two drivers that came closest to pipping Paul di Resta for tenth place in the 2013 ranking: Felipe Massa and Daniel Ricciardo. Felipe Massa is yet another in the F1 fraternity who must feel like 12 months ago may as well be another age. It's terribly easy to forget now, but rewind back to when we had but two races down in this campaign and Felipe looked close to the top of his game, or at least much closer than he had for years. Then he'd just qualified ahead of his haughty stable mate Fernando Alonso four times on the spin (including from the previous year) - some of the overexcited talked of him 'getting under Alonso's skin'. All a long time ago, as I said. The Felipe feelgood factor unravelled fairly quickly, as is often his way given as F1 drivers go he's always seemed particularly vulnerable to 'letting his chin drop', to use the British parlance. And where it really started to go wrong for him was a Monaco weekend wherein he crashed spectacularly in practice (forcing him to sit out qualifying) and then managed to do close to identical in the race. This was the start of a dark cloud passing over his campaign under which errors were frequent, and he crashed in the next two rounds - qualifying in Canada and practice in Silverstone - both of which compromised him, and then in Germany he spun out of the race early on. Sure enough, come Monza Ferrari had informed him that after eight years driving for the Scuderia he would have to seek alternative employers next year. 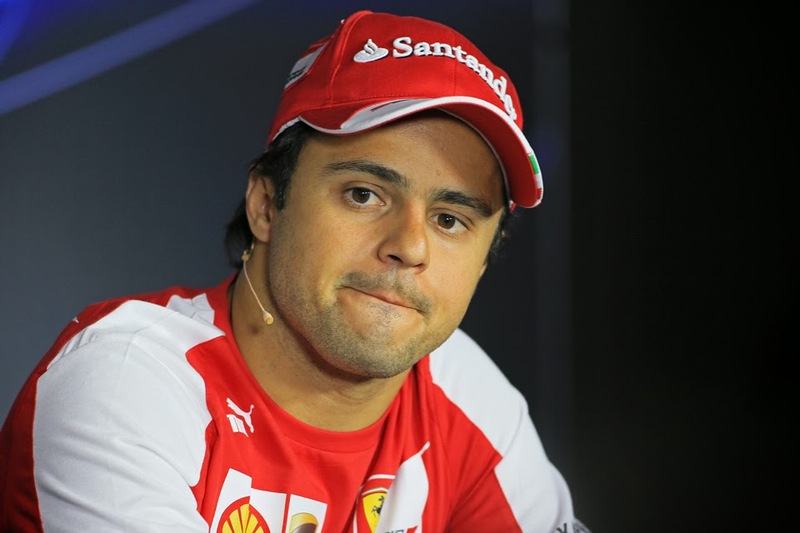 To a large extent 2013 seemed merely a continuation of what had come before for Massa. Again he scored fewer than half of Alonso's points total; again there were errors; again he seemed to never be quicker than Alonso on a race day; again even when he was about as quick there would be spells in races wherein his pace would taper off unfathomably. However, after his departure was confirmed there was a mini-upturn, him looking roughly as quick as Alonso in Monza, Japan and Abu Dhabi as well as running ahead of the Spaniard for much of the way in each race. His run to fourth in India was good too. And his quali match up with his team mate was more than respectable, being 11-8 to Alonso. Furthermore Felipe's not giving up on the sport, as he's struck a deal to race a Williams next year. How he fares in a new environment, and away from Alonso's long shadow, will be fascinating to watch. 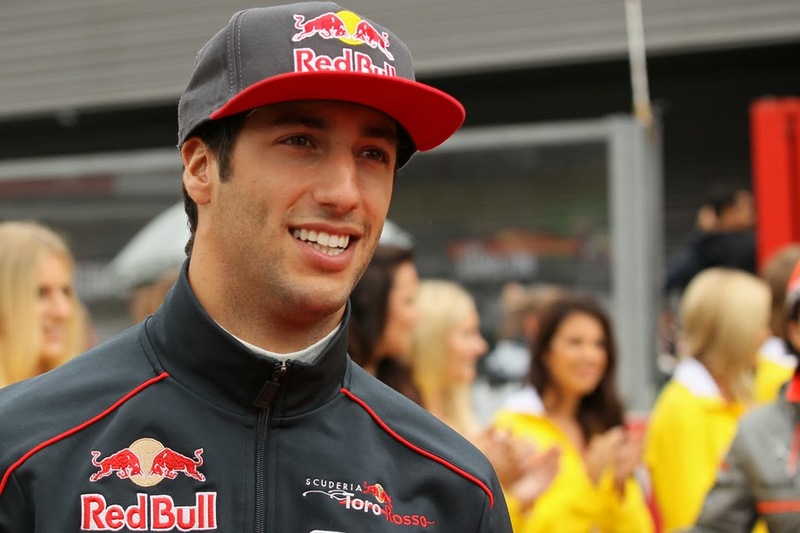 Daniel Ricciardo however is journeying in the opposite direction: doing enough with midfielders Toro Rosso to be selected to join the big league in a Red Bull for 2014. The move was accompanied by a certain amount of cynicism - Red Bull is just signing a rabbit that won't threaten Seb was the gist - but don't be caught thinking that the cynics have a monopoly on wisdom; there are reasons to think that the big team selected Ricciardo for all of the right reasons. Ricciardo's raw pace, most notably manifested over a single lap, was often stunning in 2013, as seen in a series of top ten, often well into the top ten, appearances in qualifying: in Silverstone he started P5, Nurburgring P6, Hungaroring P8, Monza P7. Converting such high starting slots into results was more difficult, though at least he firmly got one up on his team mate Jean-Eric Vergne this year, beating his points total by 20 to 13. Many, including Ricciardo himself, insisted this pattern of sinking back on a Sunday reflected that he tended to qualify the car higher than it deserved, and that it's much harder to replicate such outperforming of your machinery over a race distance. This at least is plausible. Some however wondered if Ricciardo lost a little of his potency when the red light went out on race day. Whatever is the explanation, next year of course it'll be harder to hide on this one. In Ricciardo's credit column, all within the Red Bull collective were impressed by his attitude, work ethic and particularly his ability to learn. This was shown most notably when after the Monaco and Canada rounds, in both of which his team mate Vergne had the whip hand on him, Ricciardo made a point of sitting down with his engineers to analyse what he could be doing better and then was successful at putting it all into practice: as evidenced by the run of quali results already outlined. And it was by no means only about Saturdays for Ricciardo in 2013: his race to a seventh place finish in China was close to perfect, as was his drive to the same position at Monza. In India too he kept his cool to rebuff a hungry Alonso to claim the final point, demonstrating that he can perform under pressure and with revered opponents around - something he'll need next season. To go through the rest of the drivers in the order of the numbering brings us immediately to the curious case of Sergio Perez, whose opportunity knocks stint at McLaren evaporated almost as quickly as it had emerged. 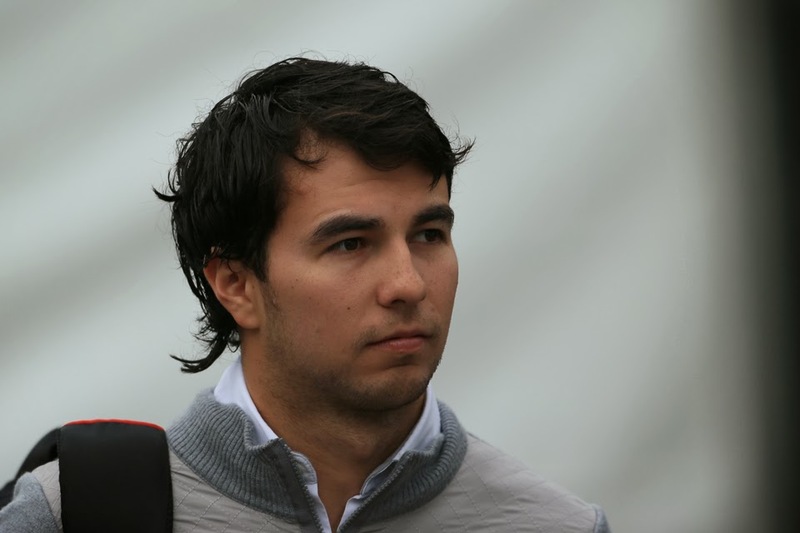 But then it shouldn't have been a total surprise, as for all that Checo found fame from his three totemic podiums run in 2012 the more discerning wondered the extent that he could credibly dine out on them. All came in peculiar circumstances and it was never that clear what his personal contribution was as opposed to that of the Sauber C31's magic touch on the tyres when the requisite circumstances aligned almost voodoo-like. Perhaps his hitch-up with McLaren - the Woking team left flummoxed by Lewis Hamilton's surprise departure - had something of the gunshot wedding about it. And those who suspected so were vindicated to an extent in 2013. While Perez of course cannot be blamed at all for the disastrously underperforming MP4-28, rarely did he have the legs on the similarly-equipped Jenson Button, particularly not in the first half of the year. And Perez didn't help his cause by putting some rather prestigious noses out of joint with his on-track antics early in the campaign, apparently in response to his boss requesting he 'get his elbows out' a bit more. Some of the criticism was over the top (though also some of Perez's moves did cross a line) and perhaps also that it tended to be those with high media profiles and whose words carry a lot of weight that he irked (Raikkonen, Alonso, Hamilton, Button) doubled Checo's trouble. And the one-extreme-to-another nature of it all worried his employers. With just four rounds left Perez had totalled but 23 points (compare this to the 66 he got in 2012 in a Sauber) and while before the season end he'd salvaged something closer to respectability, more than doubling his points total - his drives in India and at 'home' in Austin were particularly strong - as well as outqualifying team mate Button with regularity in the campaign's second half, it was all a day late and a dollar short. And for a team that already had grave doubts a spell in the Abu Dhabi race wherein his pace dropped off curiously and markedly was the tipping point - McLaren concluded that Perez would have to find somewhere else to drive in 2014. His dismissal too apparently reflected the McLaren team's view of Button as much as it did Perez - as the Woking squad reckoned Jenson was not bringing his A-game all that often, so that Perez was only just about clinging to his coattails for the most part didn't look good. And while inconsistency is to be expected from a young charge McLaren noted that even Checo's high points were never that high. Perez's year was never awful, its main vice was that despite occasional vague promise it never quite got off the ground. Not until it was too late anyway. The pairing of Mexican drivers in F1 in 2013 was completed by Esteban Gutierrez, who made his F1 bow in a Sauber. We started the year unsure of the extent that Gutierrez was better than his accompanying opportunities for pesos (despite a reasonable junior formulae record) and we ended the year still unsure. Still, it is often forgotten that in modern times with the severe testing restrictions what a problematic task faces F1 debutants; an unintended consequence is that the age of the rookie having 10,000 testing miles to their name before they even race Hamilton/Vettel style is now a thing of the past. Often therefore it takes a number of race weekends for them to find their feet, and this should enter the considerations when assessing debutants such as Gutierrez. 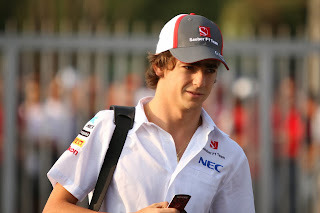 But whatever was the case the first half of Gutierrez's year was inauspicious: made up mainly of first session eliminations in qualifying, race finishes in the teens, never getting into the same postcode as team mate Nico Hulkenberg as well as was stained by a major blot resultant of running into the back of Adrian Sutil early in the China race, Gutierrez apparently declining to brake at the end of the long straight. However in his defence - and in addition to the points above - learning the ropes in a disappointing car and alongside a top-drawer team mate always was likely to back him into a corner somewhat. And come the second half of the year there started to be signs that - a bit like the experience of Hulk himself in 2010 - once he got enough mileage he would start to do himself justice. In Spa and Monza he showed pace on occasion but not at the vital times of either weekend. But Singapore seemed something of a breakthrough, qualifying in the top ten with the seventh fastest time (and out-qualifying Hulk, who admittedly had technical problems). In Korea too he got into Q3 only to be bumped down at the start thanks to someone else's accident, but at Suzuka awaited his reward - and his best race of the year - with a seventh place finish for his (or any of the 2013 rookies') first points. He also was but 20 seconds shy of his team mate at the end, and all the while showed a willingness to race and assuredness when under pressure. The Sauber team by this stage was also talking glowingly about his rate of learning. The problem was however that after this Gutierrez rather seemed to slip back towards his old ways. Hence our confusion. But he has got another year at Hinwil to give us a few more clues either way. Adrian Sutil returned to F1 - and to Force India - this year after winning out in a face-off with Jules Bianchi for an 11th hour selection to fill the seat. And as we have come to expect from Sutil on-track his efforts were solid and quick. Indeed, despite his lack of preparation time he got up to speed rapidly and provided interloper services at the front in the season-opening race in Melbourne on the way to finishing seventh. Impressive even if tempered by his presence among the leaders being slightly illusory given it owed mainly to a contrary strategy (and he only finished ahead of his team mate Paul di Resta at the end thanks to a team order). There were other fine and combative drives in there: especially at Monaco when he finished fifth, ambushing none other than Fernando Alonso (and at Station Hairpin...) along the way. He ran among the leaders for much of the British race as well as showed spirit in fighting his way to points in Belgium. His marathon tyre longevity achieved in India to vault him up to ninth by the end was also noteworthy. Analysis of the best times of each weekend showed that Sutil's were faster than team mate di Resta's over the piece, but yet he scored not much more than half of his points total as well as was outqualified 12 times to 7. It suggests that despite his pace being in there somewhere Sutil was less able than his intra-team yardstick to convert it all when it most mattered. And as has often been the way with Sutil there seemed a few too many scrapes in there, especially now that he's not short of experience: such as first lap contact with Massa in Bahrain, spinning in the Canadian and Korean races, a practice shunt in Japan which got him a five place grid drop because of gearbox damage as well as contact with Maldonado in Austin - that he rather disingenuously tried to blame the Venezuelan for, presumably hoping his reputation would go before him. 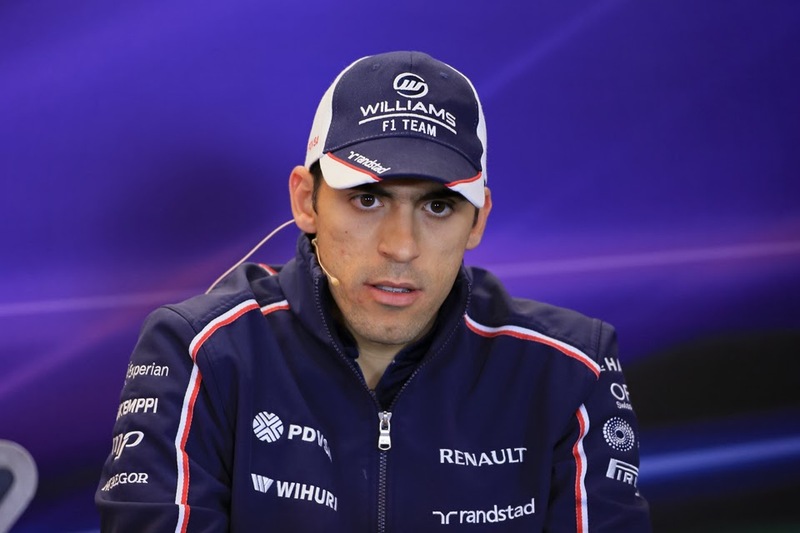 The latter stages and aftermath of the 2013 campaign did indeed coincide with something of an open season on Pastor Maldonado. This was largely because of the goings-on of the Austin weekend wherein he was taken to the cleaners by his team mate Valtteri Bottas (tumbling out in Q1 while his team mate topped that session and later made the top ten on the grid and finished eighth in the race), and worse got out of his car after quali to at least heavily imply in front of a microphone that the Williams team was out to screw him. The offence was later compounded in many eyes when his PDVSA bucks assisted a promotion to the Lotus team, at the expense of a man who was seen as the more deserving on driving talent in Nico Hulkenberg. There was also rather a lot of sniggering in the gallery when Pastor claimed later that 2013 was his best season in F1 in terms of his driving. But he might have been onto something, as Austin aside it was a reasonable year of effort from Pastor in a difficult and disappointing car. He did have rather a lot of typical offs early in the year - three in the first two rounds - him perhaps trying to shortcut the car's shortcomings. After that though he calmed down and got on with it, and for the most part delivered finishes that were about as high as could be expected with the set of wheels he had access to. He breached the points in Hungary, for the first time in 2013 that Williams troubled the scorers, and only just missed out elsewhere such as in Silverstone and the Nurburgring (wherein the team's wheel guns stopped working at his final stop), as well as later in Singapore, India and Abu Dhabi. There also certainly were fewer prangs in there than was the case in 2012 (though you could say that's not saying much). And a stat that may be of surprise is that in the rounds wherein both finished Maldonado finished ahead of Bottas more often than not, by nine times to five - indeed it seems rather airbrushed from history that for much of the year, particularly in the mid part, Pastor was the Grove team's habitual race day pace setter. In other words, the common trashing of Pastor's efforts in 2013, and the equally common assertions that Bottas whipped him, are not really borne out in fact and seem in large part based only on the Austin weekend. But of course, Pastor's never been one who can count on much of a reservoir of goodwill to draw on. Across the garage Valtteri Bottas debuted in a race seat in 2013 and did so with a big reputation (as well as, for the first time that I'm aware of, with his own hashtag). And he did little in 2013 to tarnish it. He demonstrated raw pace, outqualifying Maldonado by 11 to 8 (and if Pastor's anything he's quick), and while he often fell behind Maldonado in races Bottas nevertheless showed a sureness in bringing the car home and avoiding errors - he only failed to finish twice, neither of which were his fault, and what mistakes there were were minor. And unlike Maldonado's 2013 campaign Bottas's included a couple of stand-out performances that really grabbed everyone's attention: in Canada he took advantage of the treacherous conditions to qualify in third place in an effort that showed impressive bravery and judgement, while in the Austin weekend he was a star, topping the first session of qualifying and ending up fourth in the second. And that he was disappointed with his eventual ninth on the grid having made a small mistake in his final run struck everyone as a good indicator of his star quality. He then the following day made good on it all with a measured and competitive run to finish eighth. It's also a very good indicator of Bottas's potential that he appears capable of seizing his opportunities when they come along. All the while he displayed a focus and level-head that for many was redolent of Mika Hakkinen; his ability to drive at the maximum like flicking a switch when grip levels are uncertain (seen most readily in Canada's qualifying) put some in mind of Sebastian Vettel. Bottas's campaign was a determined and consistent effort, containing evidence that he ticks most or all of the boxes. You feel that for him the only way is up from here. 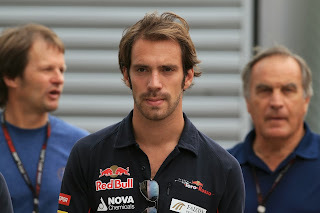 Opportunity knocked for Jean-Eric Vergne in 2013 with the long-awaited vacancy in the big Red Bull team available for next year. And yet he missed it. His biggest problem, both in absolute terms and relative to his team mate and fellow-contender for promotion Daniel Ricciardo, was that the knack of qualifying in the dry continued to elude him. He didn't chuck the thing off on a Saturday with the regularity that he did in 2012 (though he did run off the track on his big quali efforts in Silverstone and Monza), but it remained the case that he was habitually clear tenths, and places, down on his stable mate. And these tended to spoil his weekends, resulting in races that appeared mediocre to the outsider due to being mired in traffic for the most part. He did tend to move forward on a Sunday, while Ricciardo moved back towards him in turn, but it seems his qualifying yips more than anything was what got him passed over. Perhaps it was most worrying of all that in the rounds from Silverstone onwards when everyone knew as a fact that an 'A team' seat was available while Ricciardo reached for the stars at the vital moment and got noticed, Vergne seemed to regress a little. It was a pity too, as his best performances and results at Monaco and Canada showed that with a good starting slot he could be excellent - all pace and crisp passing. 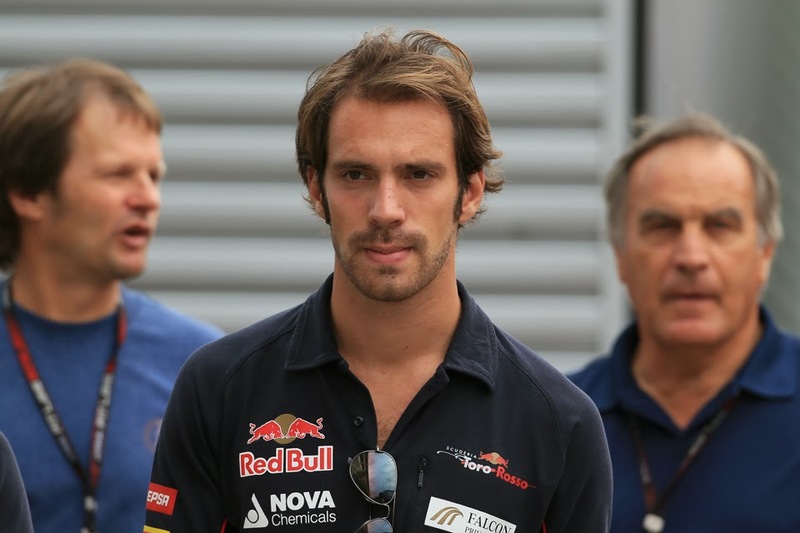 But it wasn't coincidence that both of the cases mentioned had wet qualifying sessions, when Vergne's ability to improvise with the grip below him uncertain serves him well. Nevertheless the Red Bull collective continues to rate him highly and he's retained at Toro Rosso for 2014. But given the sudden death nature of that particular young drivers' programme you feel that getting on top of his whipper-snapper new team mate Daniil Kvyat is the least that he needs to do. Charles Pic made a slight step forward to Caterham this year after a promising 2012 F1 debut in a Marussia. Yet one year on it seems that rather a lot of whatever momentum was developed then has since been lost, at least as far as the fraternity is concerned. It seems harsh though, as looking back on his 2013 efforts he didn't do a great deal wrong. He arrived at his new team to find a car that was initially awful, but he got on with it and did about as well as could have been expected in the circumstances. Indeed his Bahrain weekend was excellent; he finished P14 and was even hounding Daniel Ricciardo towards the end. In Silverstone too he may have taken a midfield scalp or two without the late-race safety car. Pic put in a series of solid drives and often was at the head of the 'B class', particularly as the Caterham improved relative to the Marussia. For whatever reason though his performances fell away in the final four rounds, which didn't help whatever cases he might have been making (perhaps, as Heikki Kovalainen did before him, he got exasperated at his no-win situation). Pic also this year developed a maddening tendency to pick up penalties, and often for rather trivial offences such as missing pit lane red lights and not heeding the call to enter the weighbridge. But at the overarching level Pic's situation seem to demonstrate that unless an up and coming driver is making conspicuous forward strides their star can wane rather rapidly. Giedo van der Garde was another to have his freshman year at the sport's pinnacle this year. Despite (or maybe because of) having loitered around the feeder formulae for a while most reckoned his F1 accession into a Caterham owed mostly to sponsorship brought. Yet van der Garde did better than expected, he outqualifying Pic eight times and as is a recurring theme for the rookies growing in strength as the year progressed. Many nodded knowingly as van der Garde struggled to get to grips with his car in the early rounds and was invariably well shy of Pic, but by Spain he was showing signs of getting the thing under control, although in Canada he committed a major goof up by colliding with Mark Webber while being lapped - that appeared to the outsider borne of an absent mind (he also had scrapes in Korea, India and Japan). Van der Garde seemed one of those to benefit from the mid-year Pirelli switch (rear degradation had been a major problem for him and he often lost race places as a result) and suddenly he was closer to Pic, and come the Asian leg of the calendar he started to beat him armed with consistently strong race pace. Van der Garde could also point to a stand-out cameo: being the first to gamble on slicks in Spa's wet-but-drying Q1, which got him into Q2 with the third fastest time. And perhaps his subsequent time in the following dry session to get a P14 start was even better. 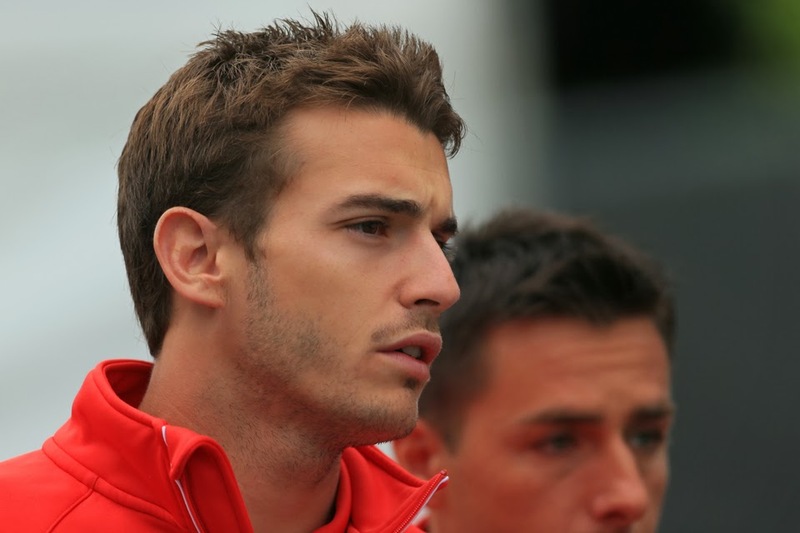 Jules Bianchi this year showed us that F1's 'B class' is not merely the territory of the modestly-talented driver with a less modest briefcase of cash. He was a last minute super-sub at Marussia (after first choice Luiz Razia's money didn't show up, natch) and before anyone knew it he was winning an awful lot of new admirers. Unlike most debutants he was right on the money right away and impressed his team - and most others - from the very off with his pace, intelligence and commitment. In Melbourne he left the rest of the B class far behind, and moreover bothered Maldonado early on in the race as well as (aided by a late tyre change) set a fastest lap that all but matched Vettel's. And then in Malaysia in his first ever dry qualifying session his effort resulted in a few jaws dropping around the Marussia garage. More importantly it set up him up for a thirteenth place finish that as it transpired guaranteed his team a lucrative tenth place in the constructors' table. His consistent pace in the Barcelona race was the result of another stellar effort - he was even held up by Vettel for a while (though again aided by varying stages of tyre life). Bianchi is a driver who is hard to fault: not only is he quick and consistent but his attitude is good, while his technical feedback was also considered especially strong by his employers. Curiously, he remains where he is next year, but if you're going to rank drivers in order of most deserving a move up the order then Bianchi would be near the top of it. The other Marussia ride was occupied by Max Chilton, another to debut in 2013. He ended the year with the unlikely kudos of having finished everywhere, and indeed it can be said that he didn't do a great deal wrong in terms of messing up - an egregious swipe of Pastor Maldonado in Monaco, triggering an accident that stopped the race, aside. But perhaps it's something of a condemnation that this was his campaign's grandest attribute. The suspicion lingered that a more worthwhile compromise between not erring and going quickly should have been found. He was almost never near Bianchi on the latter measure, and Chilton's qualifying time deficit to him averaged out at close to a second over the year. Daddy's money has of course been a major factor in Chilton's career, but equally there's been evidence that it has a downside, that the promotions it's got him has resulted in his being in formulae before he was quite ready. Perhaps this year was simply a continuation. But still as with most rookies he showed signs of improvement as the season progressed and come Monza he was running close to Bianchi, while in Suzuka he had his crowning glory of the year by qualifying ahead of his team mate, though was aided by various problems for the guy from across the garage. And the one variation from the 22 fixtures in 2013 was Heikki Kovalainen, who stepped into a Lotus for the final two rounds while Kimi was nursing his tender back. He was selected in preference to the Enstone team's nominal reserve Davide Valsecchi on the grounds that Heikki's greater experience would be more likely to result in points for the team's constructors' fight. It didn't work out that way though, as he finished twice outside of the top ten. Of course, we've seen repeatedly that stepping into an unfamiliar F1 machine mid-year with no testing puts a driver rather on a hiding to nothing (indeed, apparently Nico Hulkenberg turned the drive down on those very grounds), and Heikki's rustiness showed too, particularly in two rather tardy race launches. He also probably would have scored in Austin but for a KERS failure as well as a mysterious front wing problem in the opening stint. But still, if one is to be harsh Heikki did look more potent in practice and qualifying than he did when other cars were around in the races. Which perhaps has always been his problem.